If the judiciary is concerned, what outrage should the general public be displaying right now? At least 2,000 cases in Baltimore, MD, are being reviewed by defense attorneys following recent revelations concerning police surveillance. Maryland requires defense attorneys be informed about electronic surveillance, which conflicts with the Non-Disclosure Agreements, or NDAs, which police departments are required to sign before purchasing cell-site simulators, or Stingrays. These devices function by telling your phone that the device is a cell tower, and pinging it for the phones location data. Simply removing the battery from the phone is not sufficient to stop the location signal. A device called a Faraday Cage, similar to that sold to protect credit cards from RFID theft, is necessary to completely block the location signal. Consider what might happen if you were found holding a cellphone that was tracked using this technology. In a current case in Baltimore, Anthony Todd claims that he found a ringing phone under the porch of a vacant house. Todd does not match the description of the person wanted for the murder he is accused of, and surveillance video shows other people looking at the porch the phone was allegedly found under. 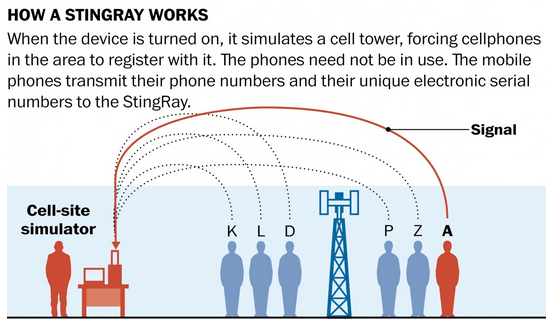 The key problem in the use of cell-site simulators lies in the NDA. 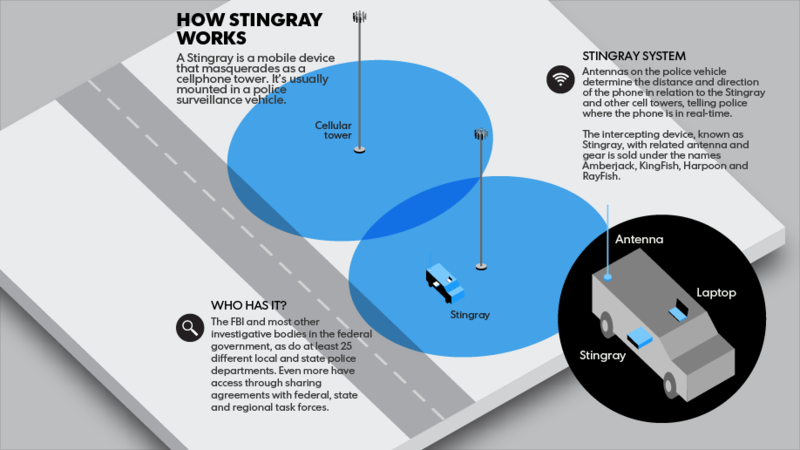 That agreement prohibits disclosing the use or existence of Stingrays to, well, anyone. The knowledge of them seems to come out in things such as invoices for training or “cellular equipment” that are obtained through requests for public records. This extends to motions for discovery in criminal cases. (These motions are for when the prosecution, the government, tells the defendant, the person accused of the crime, what evidence the prosecution has that the accused committed the crime. This is so the accused can defend themselves against the charge, and is a central concept to how our criminal justice system is supposed to be organized.) If the accused is unaware of how the evidence against them was gathered, then they cannot mount a defense against it, by any number of methods. Questioning the training of those who gathered the evidence, the accuracy of the equipment, and the lawfulness of the method itself are the first three methods which spring to this writers mind. Even if these cases are reviewed by the defense attorneys, there is no guarantee that a motion for a mistrial will be filed. It depends on how the information was presented in court. 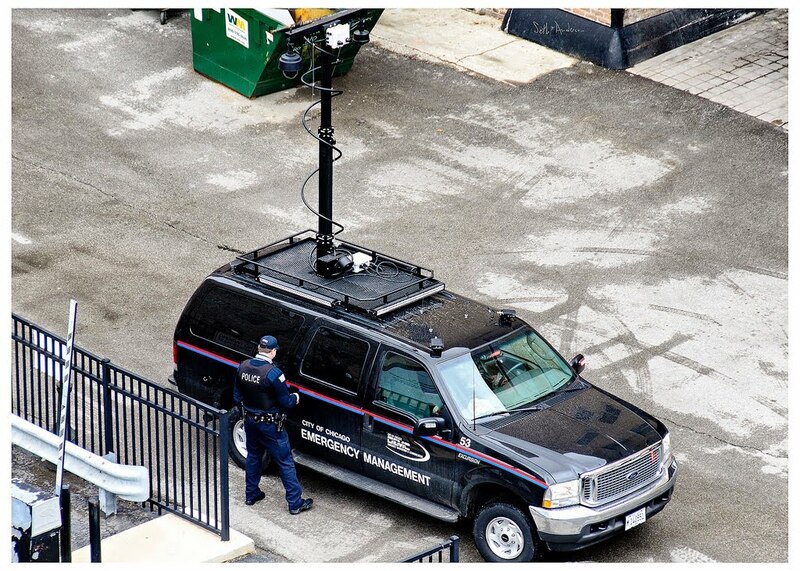 If the cell-site simulator was used to reverse-engineer a case, then there is no opportunity to argue against its use, as it is not presented in court. If the defendant is not informed of the methods used, they cannot mount an effective defense. This is an affront to our system of criminal justice. The concept that an NDA could stand against discovery is best summed up by Baltimore Circuit Judge Barry G. Williams addressing Baltimore City Police Det. John L. Haley “You don’t have a nondisclosure agreement with the court.” Judge Williams then threatened to hold Detective Haley in contempt. In a related exchange, Florida Circuit Court Judge Frank Sheffield thundered to the state’s attorney, Courtney Frazier, that “Inhibiting law enforcement’s rights are second to protecting mine!” As is apparent, when the judiciary is knowledgeable about the use of these devices, there is concern over the safeguards in place to protect the public from misuse.